NHEDF receives many of its patients by referral through word of mouth or from Kathmandu-area hospitals. For those who meet admission criteria (below), hospitals discharge patients directly to the shelter where a multi-disciplinary team of healthcare professionals is waiting to welcome and assist them. Living life in poverty while also hoping for adequate medical treatment is a huge challenge for the general public of Nepal. If a patient is poor he or she may get free treatment, but that does not mean that everything is free. Surgery and bed charges will be covered but any needed implants, consumables and medicines must be covered out-of-pocket. Sometimes such costs are so expensive that many cannot afford them and are left to die. For others, their families must sell their homes, property, land or any other assets that might cover the financial burden. In Keshar's case, his family had to make tough decisions. "How could we possibly leave Keshar to die?" Have an earthquake related injury or a recent orthopaedic or head injury that requires high intensity rehabilitation care. Would benefit from 1-8 months of active physiotherapy; who are likely to achieve activities of daily living after rehabilitation treatment is complete. Have a caretaker who is willing to take care of the patient when required. Parbati comes from a poor family in Doti, located in the remote regions of Western Nepal where emergency medical response is not available. 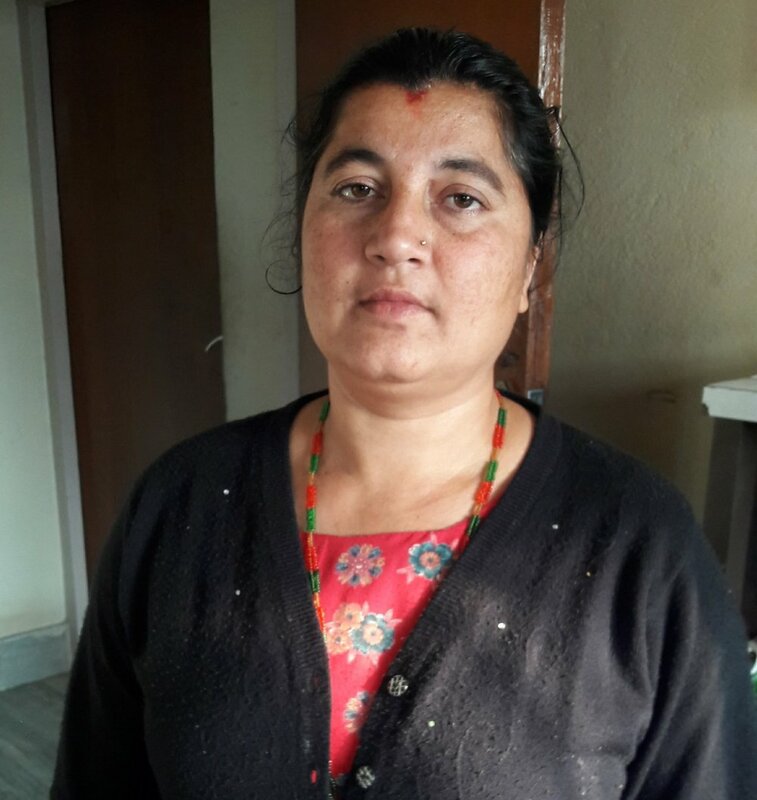 Medical care in Nepal is not free nor covered by Medicare, and Parbati’s family could not afford the adequate treatment needed for their daughter. Her village organized a donation that allowed her to visit the hospital. After just ten days the money ran out. Her father had to make a choice – either take his daughter home in the state she was in; two fractured legs, open wounds, and unable to walk, or sell the small amount of property that the family owned in order to continue treatment. He chose the latter, selling the land that had been in the family for generations. Although her care is progressing, the impact of her injuries are great. If she loses her leg she will be unlikely to work or marry. Being uneducated with poor prospects of employment or marriage in the event of permanent disability means she will struggle for the rest of her life. Read more about Parbati's story and please consider donating to assist in her recovery and support her chances at a bright future. Thank you! 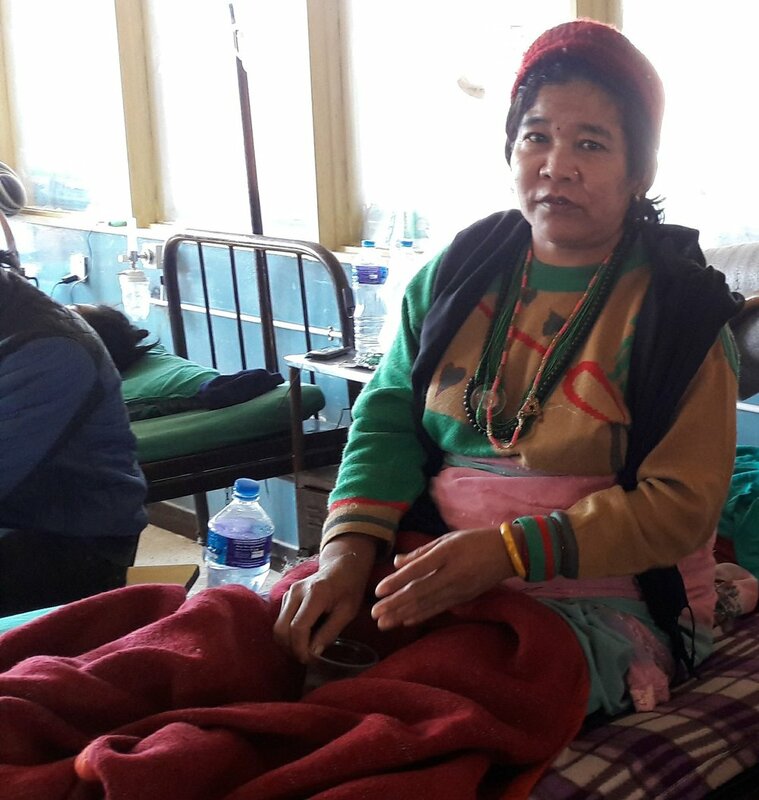 Bibadari was admitted to NHEDF’s Shelter nearly two years after she sustained injuries to both her legs as a result of the first 2015 earthquake in Nepal. When the wounds to her feet and toes became infected and then gangrenous, she was neglected by her family and did not receive any treatment whatsoever. She was found by The Karuna Foundation living in a stable in her home village, her feet in such a terrible state that people were amazed she survived. Bibadari was brought to Kathmandu for treatment and eventually discharged but her healing wounds would require daily dressings. Fortunately, she was referred to NHEDF’s Shelter for nursing care, support and physiotherapy. Unlike other patients, Bibadari did not have a caretaker with her. NHEDF is so grateful that patients at the Shelter, along with their families, treat each other like family journey the long road to rehabilitation together. Now her wounds are healed, her rehabilitation journey complete, and she’s been returned home! Read more about Bibadari’s journey and please consider donating to help support the rehab journey of others. Our patients are so grateful for your support. Thank you! With 25,000 Nepalese Rupees (24 USD) in support from municipality and her personal savings, Goma came to Kathmandu for treatment. The hospitals did not admit her, instead discharging her after she received surgery. Her wounds were still too big to be able to safely return to her home village, so she stayed in the hospital lobby for three days along with her husband and little son. One of our patient caretakers whom we send to the hospital along with other patients to provide care and support found Goma in desperate need of help. Our caretaker called us from the hospital and after talking to Goma we knew that we could not say no. She came and joined the NHEDF family. Through the use of the right dressings and methods her wounds healed quickly – We didn’t only treat Goma’s external wounds but tried to heal her internal wounds too. Please consider donating to help support the rehab journey of others like Goma. Our patients are so grateful for your support.